I was a bit late in the game when it came to reading The Hunger Games . Ever since the movie came out this spring, the book and story have been invading the occasional casual conversation. Everyone states that the first book is good while the sequels are dissatisfying. Of course, I needed to start reading the series myself and see what it is about. 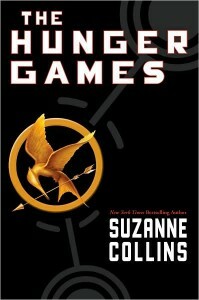 The first thing I notice while reading the book is its main character, Katniss Everdeen. 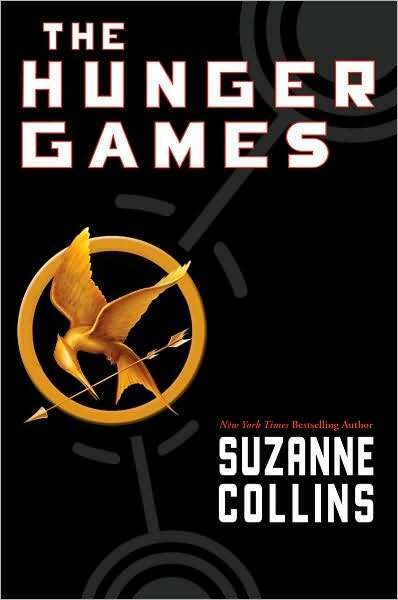 I flip to the cover to check the author’s name, Suzanne Collins, and am glad that the author is of the same gender as her character. As I read on, I am glad not to be presented any majorly provocative imagery. What I was afraid of and what motivated me to check the author’s name is my experience of reading The Fault in Our Stars (where the imagery is at times more provocative, the main character is also female, and yet the author is a man). The style of the book interested me. The short sentence fragments. Restatements of incomplete thoughts syntactically arranged as sentences. Ideas normally delimited by emdashes presented as sentence-like creatures. The author likely tries to emulate the pace and cadence of an English speaker’s thoughts. Ideas expressed more haphazardly. Eyes darting from tree to branch. Easily distracted. The reader stalks the story as it surveys its surroundings before flitting to the next event. Yes, I cannot pin down the author’s style; it is a curiosity and perhaps an abuse of English, but an author writes with that purpose. Katniss grew up in the coal mining province of Panem called District 12. Her father has died about a year prior to the book’s start, leaving Katniss’s mother in a sad stupor which forces Katniss to develop the illegal hunting and gathering skills her father had taught her to provide for her mother and younger sister, Prim. As shown in the movie’s cover, Katniss is an archer. Trading game (squirrels and rabbits) at the local black market has developed Katniss, nicknamed Catnip by her hunting partner Gale, into a true shot. By this time, her life is almost agreeable. She is popular at the local market. Her mother has come out of her stupor and taken up an apocrathy business. Gale is a true friend; he and Katniss can comfortably voice their thoughts of dissent against the government while alone together in the forest. But today is the reaping, where any child aged 12 through 18 risks being chosen as one of two Tributes to represent his and her district. The Hunger Games, the name of the competition to the death between the 24 combatants representing 12 districts, are starting. Being chosen means almost certain death, especially for someone from District 12 from whence no victor has issued for thirty years. And, of course, the main character becomes the female representative of her district. She isn’t exactly chosen; she volunteers to save the life of her young sister, Prim. It shouldn’t be possible for Prim to be chosen as a Tribute; as a 12-year-old, she has the lowest probability of being picked as a tribute. More importantly, Prim cannot be chosen. She would not step on an ant. She is unlike her older sister, Katniss the hunter. She simply cannot be entered into a gladiator arena where, no doubt, her brutal murder will be televised to the entire country. At this point the reader is launched into the Hunger Games. Without so much as having a normal day with Katniss, we see her on a train headed to the arena, her fate changed forever. The reader is taught what Katniss’s normal life is like through the contrast of the horrible Hunger Games. And, subtly, she and the other Tribute from her district, Peeta, manage to both participate in the Hunger Games and express a sentiment of rebellion against the government whose Games are a token of a far more comprehensive oppression. I started reading this book sometime last Friday and finished today, four days later. I enjoy this genre of book, with action and suspense. It managed to keep me reading. It even would keep me up late at night in a nervous, adrenaline-fueled state without resorting to any nightmare-causing imagery. Of course, I had not recently read a good action-filled book, so I was thirsty for anything. There is a sequel to The Hunger Games called Catching Fire , also by Suzanne Collins. The end of The Hunger Games does leave the reader with questions. Peeta and Katniss have both successfully survived the Hunger Games in defiance of the game rules which state that there may only be one victor. Katniss has learned to understand Peeta’s desire to die or win as a human, and the two refusing to give the capitol of Panem the satisfaction of completely transforming them into animals by forcing the capitol two choose between two and zero victors. Part of what keeps the pair alive after their rebellious united victory is the pretense that Peeta and Katniss are in love. Peeta is genuine in his love, as evidenced in his enduring harsh punishment from his mother to give loafs of bread to a hungry Katniss. Katniss does have feelings for Peeta, but her display of affection towards him is merely part of her strategy for staying alive. The “star-crossed lovers” angle on the victory is the only protection Katniss has from Panem’s capitol. Katniss does realize, near the end of the Games, that she has endangering herself by overthinking her opponents’ strategies. As Peeta and she started out as opponents, she remains convinced that Peeta’s love for her is an act. Feeling guilty of betraying her hunting friend Gale, Katniss speaks to Peeta with the assumption that the faked displays of affection were mutual. This breaks Peeta and leaves Katniss disheartened. And it leaves the reader wondering some things. Will the capital manage to punish Katniss for giving the capital the choice between two and no victors? Has Katniss lost her hunting partner Gale? What is Katniss now that she, presumably, no longer has to hunt for her food? What will happen to Peeta? What had the Red-haired Avox and other rebels in the capitol been doing?